The boat slowed as we watched a 40-ton whale launch itself skyward and crash back into the sea. It’s primetime for migrating humpback whales in the North Pacific breeding ground as they frolic, mate and raise their young while living off their blubber. The good news is that humpback populations have rebounded significantly since they were first protected as an endangered species in 1966. From an estimated low of about 5,000 animals worldwide, humpbacks in the North Pacific are now estimated at near their pre-whaling population of 22,000. 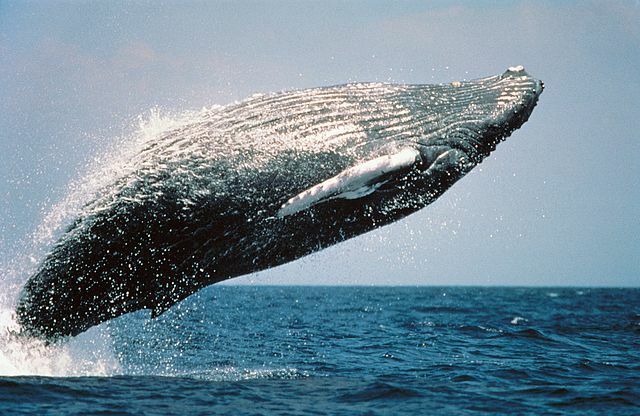 "Though humpback whales are found in all oceans of the world, the North Pacific humpback whales should probably be considered a sub-species at an ocean-basin level – based on genetic isolation of these populations on an evolutionary time scale," said Scott Baker, associate director of the Marine Mammal Institute at Oregon State University's Hatfield Marine Science Center and lead author on the paper. "Within this North Pacific sub-species, however, our results support the recognition of multiple distinct populations," Baker added. "They differ based on geographic distribution and with genetic differentiations as well, and they have strong fidelity to their own breeding and feeding areas." The study identifies five distinct populations of humpback whales in the North Pacific based on their breeding grounds: Okinawa and the Philippines; a second West Pacific population with unknown breeding grounds; Hawaii, Mexico and Central America. 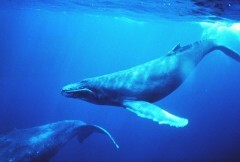 Male humpbacks sing underwater to attract a mate in their breeding grounds. (Dr. Louis M.
These new population distinctions could provide vital information in NOAAs current one-year study to determine whether humpback whales in the North Pacific should be taken off of the Endangered Species list. 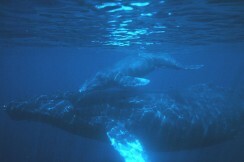 The petition to delist humpbacks was brought forward on April 17, 2013, by the Hawai'i Fishermen's Alliance for Conservation and Tradition, Inc. In February 2014. the Alaska Department of Fish and Game submitted their own petition to delist the humpbacks. For more about humpbacks and our own California gray whales, check out my “Gigantic Journeys” blog.